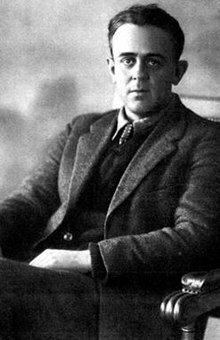 John Silas Reed (October 22, 1887 – October 17, 1920), affectionately called ‘Jack’ by his friends, was an American journalist, poet, and socialist. He was married to feminist and socialist Louise Bryant. Sergei Eisenstein’s silent feature October: Ten Days That Shook the World (1927) is based on Reed’s book. Reed is the subject of Warren Beatty’s multiple Oscar-winning Reds (1981), with Beatty himself playing Reed, Diane Keaton appearing as Bryant and Jack Nicholson as Eugene O’Neill. 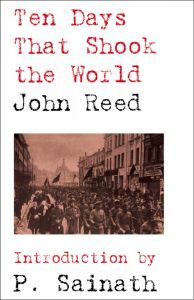 Reed not only experienced the October Revolution first-hand, but he was also in heat of the 1911 Mexican Revolution—which he wrote about in Insurgent Mexico (1914). Reed is one of only three Americans buried at the Kremlin Wall Necropolis in Moscow.